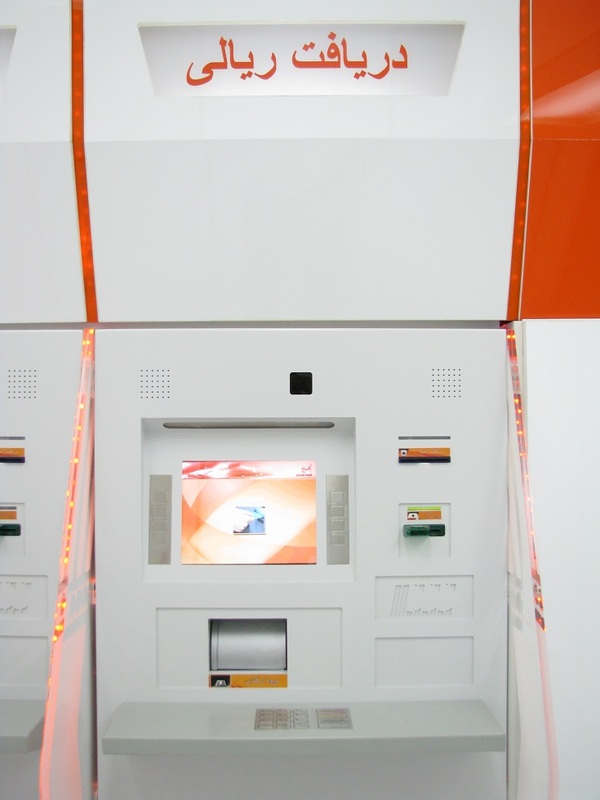 The “Pooya self-service branch” is an innovative, revolutionary, and yet affordable solution in today’s banking industry. It is the outcome of years of experience and efforts in designing and developing banking hardware & software products. The branch offers a variety of integrated electronic services in retail banking, while supporting common communication protocols. As a result customers receive faster services, and the cost of banking operations reduces dramatically. Increasing service locations without the need for any human resources. Considerable reduction in banking operational costs. The Pooya self-service branch is composed of a set of ATM stands, each offering a certain type of service as described below. 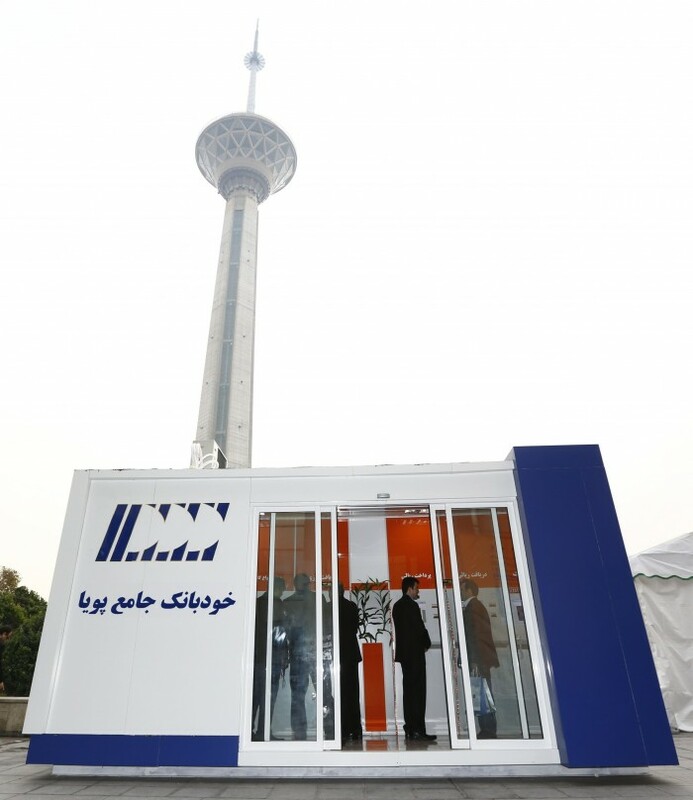 Any combination of the stands can be installed in the container, depending on the bank needs. The services can be modified later, upon request. 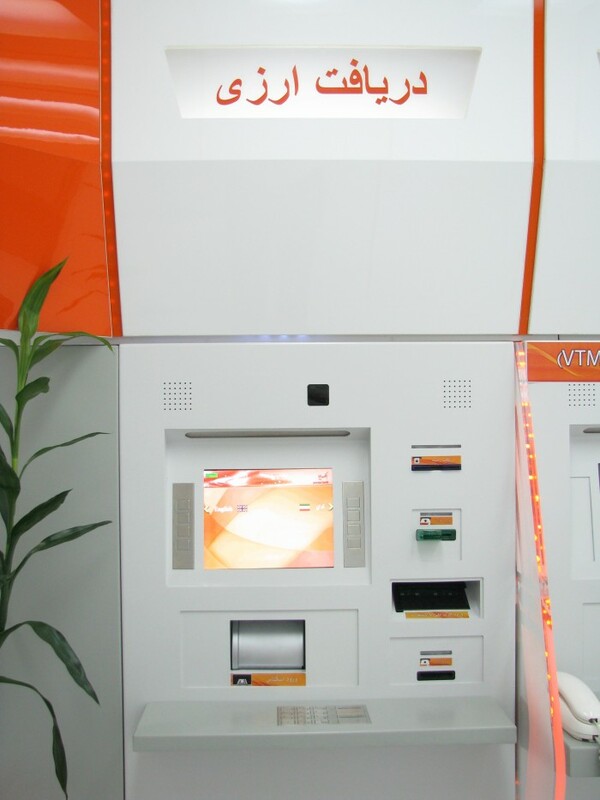 Using the VTM, customers can instantly cash checks issued by the same bank or deposit checks drawn on other banks. Considering the fact that check transactions services have the highest demand amongst other services (such as opening accounts), this new design will definitely meet client needs. Online and mobile banking have had many advantages for banks and clients such as decreasing the number of clients going to branches to make transactions. However since some banking transaction services require the customer’s physical presence in the branch for authentication, there has been less focus on the automation of these services. But thanks to the Pooya VTM stand, now it is possible to authenticate customers remotely. 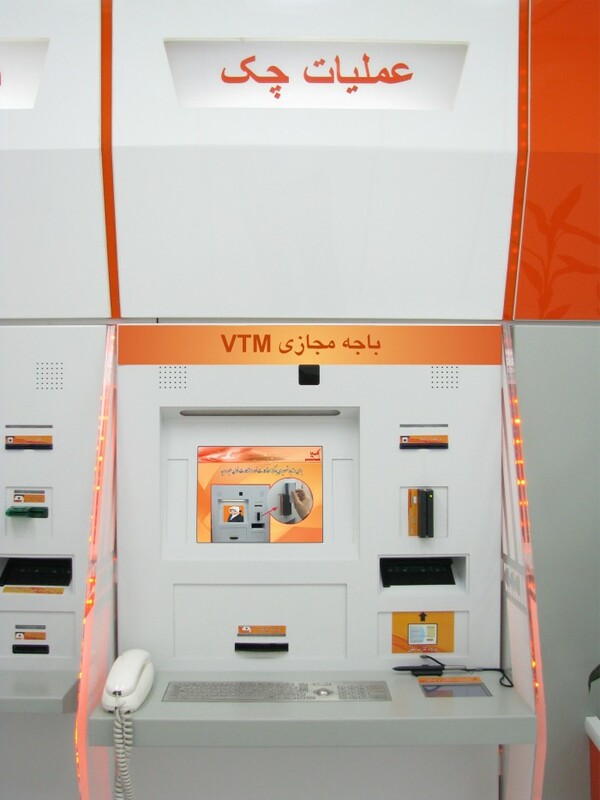 A variety of banking services are presented through the Pooya VTM, such as opening account and making check transactions. Due to the high volume of the cash in hand in the country, it is expected from the banking network to automate cash depositing into accounts as much as possible and provide this 24/7 service to customers. 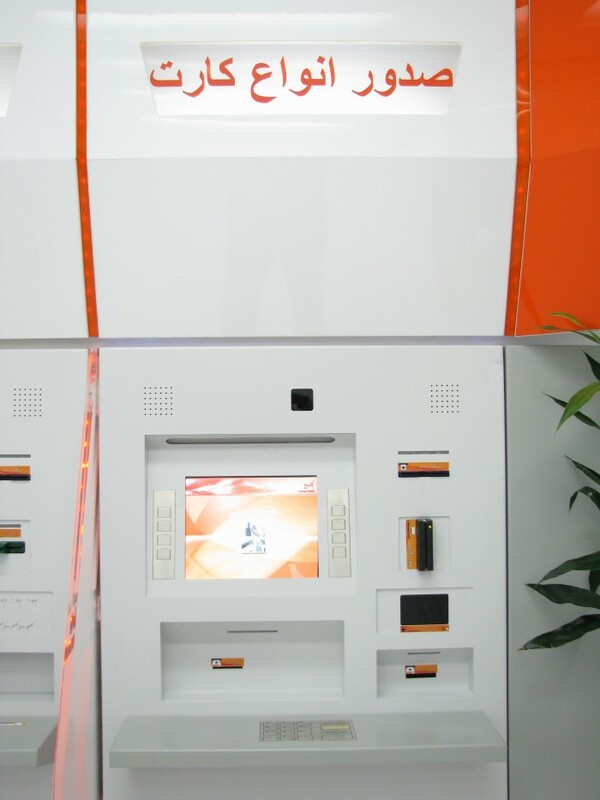 In this respect, Pooya has implemented the Pooya deposit stand to meet client needs. The Pooya Deposit Stand is made of the most efficient and high quality software and hardware equipment and provides customers 24/7 convenient services and eventually a pleasant experience. Deposit cash into your target account at the “Pooya Self-Service Branch” through the Pooya Deposit Stand and enjoy its rapid, accurate, and convenient services. By using their bank cards, customers can withdraw cash at this stand, the same way as they do at traditional ATMs. Easy access to local currency is the main issue for tourists who visit Iran. 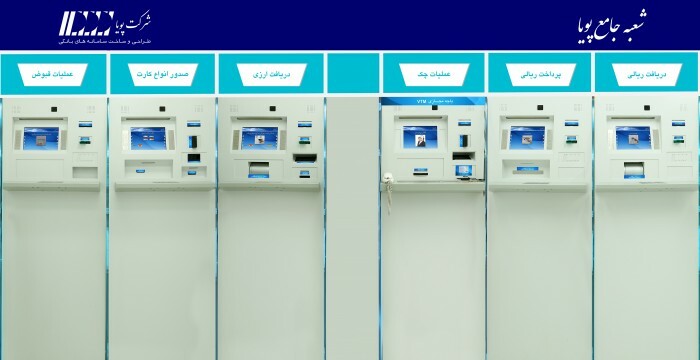 To help Iranian banks play their role in the development of the tourism industry, Pooya has designed and produced a state-of-the-art exchange machine. At this self-service stand, customers can deposit banknotes of major currencies and in return receive a bank debit card with the equivalent amount in the local currency.The customer can put a batch of mixed banknote denominations of major currencies into the machine, such as Euros, US dollars and Canadian dollars. After checking the exchange rate table and accepting the exchange, the debit card is delivered to the customer . This debit card is accepted in all ATMs and POS terminals across the country. Customers are authenticated by their passports. One of the customer banking needs these days is buying foreign currencies. 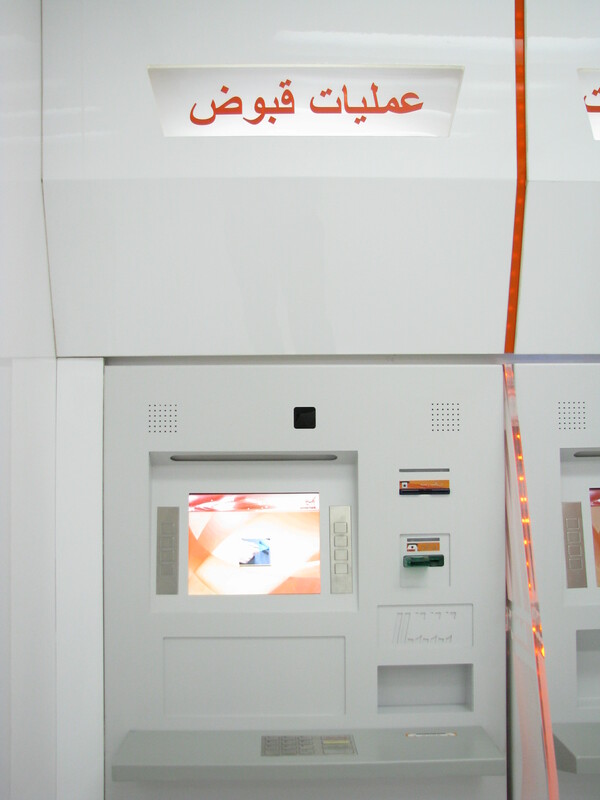 The Self-service stand has been implemented and designed to fulfill this need and customers can access the system 24/7. Customer identification is done through banking cards, passports, and national ID cards. Customers are required to use their debit card accepted in the national switch network (Shetab), to buy foreign currency. 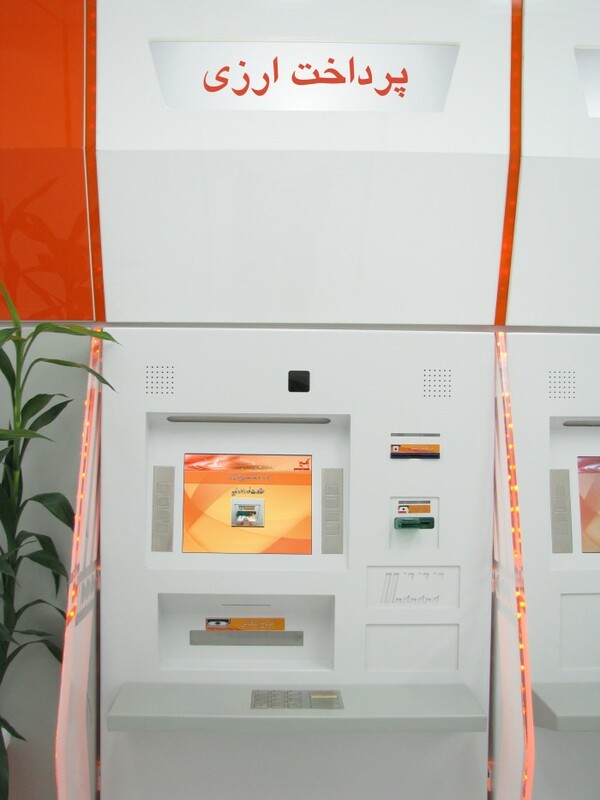 The customers insert their Shetab card, enter their PIN, check the exchange rate table, select the currency they intend to buy, and enter the desired amount. The machine asks the customers to put their passport/ national ID card at the scan port, and then the machine scans the data, automatically, deducts the equivalent amount from the customer’s card and delivers the purchased currency. Bill payment is one the most high quantity transactions in retail banking. Even though a lot of bills are paid through the Internet, Telephone and Mobile, a considerable number of them are paid at bank branches, teller windows or banking self-service kiosks. Less depreciation of other banking self-service machines. Issuing bank cards or gift cards with the desired customer amounts.